Thanks to my Pretty friend for sharing this photo with me. 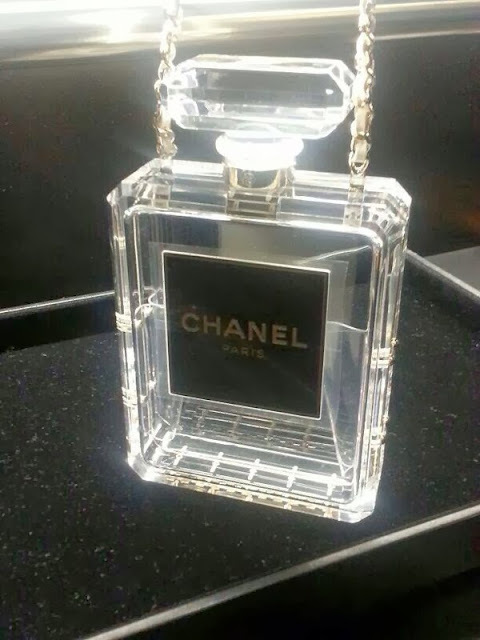 It is a gorgeous Chanel No. 5 bag and not a bottle! There is black version too, but personally I like the clear version. If I get my hands on one, I would put mini bottles of Chanel No. 5 in the bag for a nice contrast.